We are delighted to announce the official launch date of our newly redesigned website is tomorrow, which has been many months in the planning! This endeavor was generously funded by the City of San Marcos Ecotourism Fund. 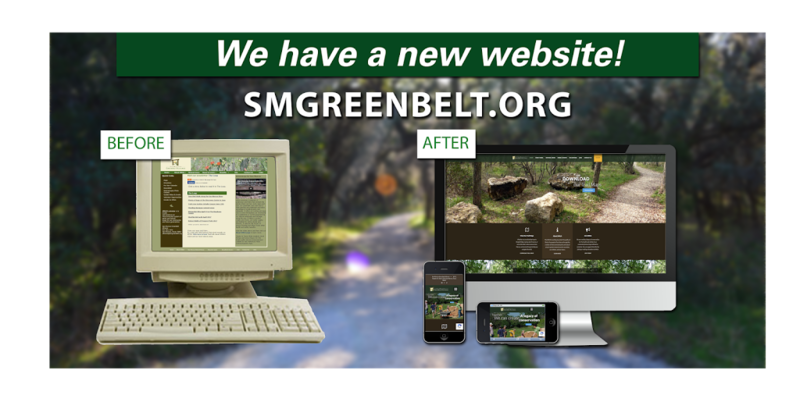 Our goal with this upgrade is to provide a faster and easier to navigate website for visitors to learn about the San Marcos Greenbelt Alliance. The new site features a responsive design across all devices, search engine optimization and a mobile-friendly navigation system that will make maps of hiking trails in the City’s natural areas more readily available to visitors. Needless to say, over the next few weeks there are bound to be lingering problems. We’d ask you to bear with us as we put the final touches to our new site and please email us if you notice any issues.